Newcastle Chiropractor – David Diehm provides tips on how to select the best school backpack for your child. Children are at risk of spinal injury and damage caused from incorrectly worn or fitted school backpacks. 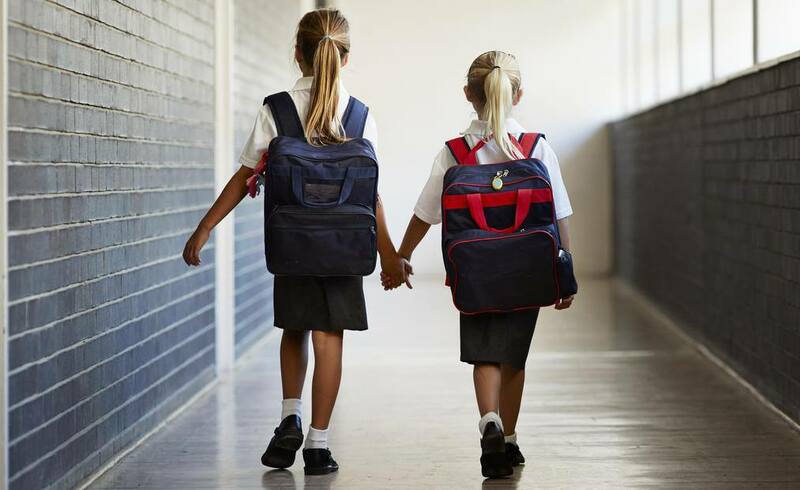 Adult spinal disorders and back pain may stem from childhood activities such as carrying heavy backpacks through their schooling years. A child will often select a bag based on its fashion merits, not its ability to support a growing and developing body. This can have a detrimental impact on the child’s spinal development, unless a bag allows for even distribution across the back and a bag can often cause pain or postural problems. Posture awareness from a parental perspective is an area that requires more education and understanding. It is widely acknowledged by parents how important posture is for their child’s growth and development, but observing the key signs of poor postural often goes unnoticed. This was further demonstrated in a recent field study, highlighting that while 90% of school children had bad posture when carrying their backpacks, 50% of parents felt their child’s posture was good, suggesting a lack of education amongst parents on how to identify poor posture.2 You’re not alone if your left scratching your head as to what features make up a good backpack. More than 85% of parents agree it is important their child’s backpack is ergonomically sound, though 26% were unsure what constituted a good backpack for their child’s health. I have compiled a list of features and pointers you should keep in mind when looking at the backpack options for your child. Backpacks should be no heavier than 10% of the student’s body weight when packed. The backpack should be no wider than the child’s chest and be sturdy in construction. Comfort and fit should be a priority, rather than looks. Broad padded adjustable shoulder straps, this will ensure the straps don’t dig into the child’s neck and shoulders. Waste straps are so important, they enable up to 80% of the backpacks weight to be distributed across the hips and pelvis, the strongest part of the spine. Don’t overload the school backpack, make use of school lockers. Place all heavy items at the very base of the pack, close to the spine, this allows a better distribution of the weight. I hope you have found this information helpful in understanding the complexities of the backpack and a growing spine. As a Newcastle chiropractor, this is an issue I address almost daily with parents and their children, I find the toughest part of a backpack discussion in most cases is the complexities of the “social appearance”. I have found the best way to get a child onside is to turn to modern technology. Simply using a phone to capture an image of the child posture with an ill-fitting backpack is a great education resource. In practice, we do something similar, though slightly more sophisticated in capturing and measuring the child’s postural positions and analysing the affect this is having on their spine. 1. Negrini, S., & Carabalona, R (2002). Backpacks on Schoolchildren’s Perceptions of Load, Associations with Back Pain and Factors Determining the Load. Spine, 27(2), 187-195. 2. CAA Field study in high traffic school with concurrent parent survey 2011. Be scoliosis aware, check your child’s spine. Baby Spine Curves – Whats Normal? next post: Be scoliosis aware, check your child’s spine.